Wedding Photographer in the Provence. Today I want to share a sunny wedding shoot in the most beautiful and lovingly restored Le Clos Saint Estève. As a wedding photographer I am convinced the Provence is the ultimate place for your destination wedding in France and to have and create, powerful lifetime memories. Being a wedding photographer I just love the ancient limestone villages and the warm, soft unique light of the Provence. With all this you are guaranteed to have the most perfect backdrops for your wedding photos. I can highly recommend Domaine Clos St Esteve. It is a beautiful Provencal property located in the South of France, surrounded by gardens of lavender, roses and olive trees. Authentically restored in the traditional style, with modern touches of luxury, this former wine producing estate now serves as a top destination for those in search of a charming boutique bed & breakfast or venue for an intimate wedding or celebration with their closest friends and family. 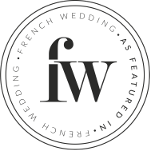 Haute Wedding, selected as Vogue’s Top 5 International Wedding Planners. If you are thinking of having your wedding in the Provence or the South of France, where your family and friends fly in from all around the world. I recommend you have an experienced wedding planner who will take care of the total organisation of your wedding. This photo shoot was designed and organised by one of the top wedding planners in France- Haute Wedding. As luxury wedding planners they take care of all the big and small aspects of your destination wedding so your wedding day will be memorable for everyone attending without any worries.